A leaf blower can save you a lot of time and effort when it comes to yard work. And whether you have a tiny property or a sprawling estate, there is a leaf blower on the market to suit your needs. To help narrow your options, the ReviewLab team spent hours researching leaf blowers, looking primarily at electric leaf blowers, cordless leaf blowers, gas-powered leaf blowers and backpack leaf blowers. For each model we recommend, we include in-depth reviews that cover all the most important features and benefits. Learn more about leaf blowers in general with our handy buying guide. Read more about our methodology. The Makita XBU02Z earns the top overall spot because of its ability to deliver power that rivals most gas models. At a max speed of 120 mph and impressive volume of 473 cubic feet per minute (cfm), in addition to six power settings, you’ll be able to clear most yards in short order, even with wetter and heavier leaves. 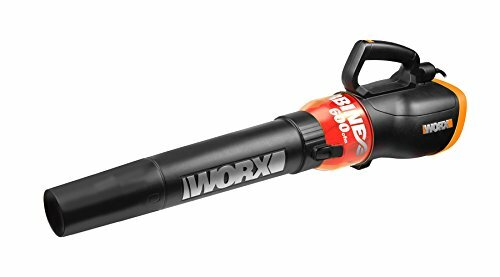 The WORX Turbine 12 Amp Corded Leaf Blower was an easy choice as one of our best overall products because of its affordability and unheard of 600 cfm. This is the perfect leaf blower for homeowners who aren’t measuring their property in acreage and aren’t using the tool professionally. If you only need a blower for a small amount of space, like a driveway, porch, patio or deck, the Greenworks 24012 packs enough punch to get the job done. Its attractive price combined with 160 mph of air velocity makes this an incredible bargain for people without massive yards to clear, landing it at the top of our best on a budget list. You can expect to enjoy great value when you purchase the Black and Decker LB700 leaf blower because of its super low price and its overall effectiveness. With a force of 180 mph and volume capabilities reaching 180 cfm, it will knock out all of your small jobs and even some of the medium ones. 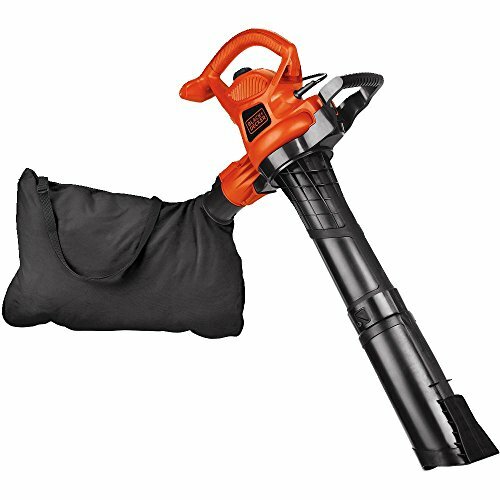 Additionally, weighing less than five pounds, anyone can easily handle this leaf blower without worry of over exertion. The Earthwise LB20058 is our top choice in the cordless leaf blower product segment because of its power, volume, engine durability and efficiency and its relative low cost of ownership due to the batteries and charger being included. The brushless motor will extend the life of this lawn tool, making it a worthwhile investment for years to come. The Remington RM2BL Ambush is a 27 cubic centimeter 2-cycle gas leaf blower that packs serious power at a relatively affordable price. We’ve dubbed it the best in its class because you won’t find many other gas-powered handheld units that can boast its combination of 200 mph air speed, 450 cfm volume and competitive price. For the most intense leaf clearing jobs, sometimes you need a little extra power and a leaf blower that will last a bit longer. 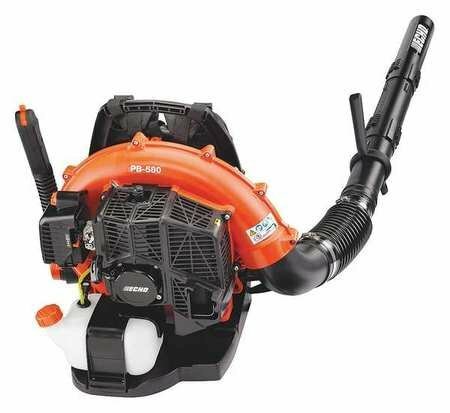 The Echo PB-580T Backpack Blower tops our list of the best backpack leaf blowers because of its quiet yet powerful engine. We chose the Black and Decker BV5600 High Performance Blower as the best of its kind because of its high-quality build, overall blowing ability, ease in converting from blower to vacuum and the fact that it performs as well or better than more expensive models. One of the first decisions you’ll need to make is whether you want to go with a corded electric leaf blower (most common), a gas-powered or battery. For small yards, patios and driveways, an electric leaf blower is usually enough to get the job done. You will need a heavy duty long extension cord to maximize the blower’s strength. Battery powered or cordless leaf blowers are most useful when clearing a large yard that’s around a quarter-acre in size or when too many trees or other obstacles will prevent a standard electric leaf blower from reaching the area in need of clearing. It’s important to note that most batteries will only last a maximum of an hour before needing a charge. Gas-powered leaf blowers are for larger jobs – like yards a half-acre or larger, but they also require more maintenance than electric or cordless. It’s important that you accurately assess your power needs when selecting the right leaf blower. The two primary measures of power on leaf blowers are miles per hour (how fast the leaves are blown away) and cubic feet per minute (how large of an area the blower can clear). Cubic feet per minute is generally considered the best measure of leaf blower power. If you’re a landscaper, you’ll probably want the most powerful blowers available because you will have to regularly clear large yards with wet, heavy leaves and other debris. Homeowners may not need as much power, depending on the size of the property. Leaf blowers can be extremely noisy. There are many communities that have strict rules about noise levels from leaf blowers. Before you purchase a leaf blower for your home, it would be wise to check local and state ordinances to see if there is any noise level restriction. In general, gas-powered leaf blowers are the noisiest, but most models will have package information about the decibel levels. Regardless, you may also want to invest in ear plugs, ear muffs or some sort of hearing protection. Gas-powered leaf blowers emit exhaust that can be harmful to the environment and may also be subject to local and or state restrictions. Whether emissions are a problem because of ordinances or because of your personal feelings, this may make an electric or battery-powered leaf blower more desirable. Remember that you have to carry this around to use it. No matter how powerful your unit, if it’s too heavy for you, it will be difficult for you to get the most out of it. Be mindful of your physical limitations when making a leaf blower purchase decision. In general, electric leaf blowers are the lightest, followed by battery-powered cordless blowers and then gas leaf blowers. You can get a serviceable electric leaf blower for under $50, while many of the higher-end electric blowers top out at around $100. Cordless leaf blowers are generally more expensive, often running from about $150 - $300 (many times not including the battery or charger), while gas-powered blowers can run anywhere from $100 - $600, depending on the size and type of engine. Cost of ownership for gas blowers includes regular purchase of gasoline and oil changes. With cordless leaf blowers, it may be helpful to purchase a backup battery, while you will almost certainly need a heavy duty extension cord for electric. With all leaf blowers, more power, functions and attachments will increase the price. The Makita XBU02Z offers an ideal balance of power and area of effect. Its wide nozzle allows it to clear larger areas of leaves, while its 120 mph max air velocity is enough power for most jobs. This is a lightweight leaf blower that features a brushless motor for maximum engine efficiency, six air volume/velocity settings and zero emissions. Its lithium-ion batteries can be used on all power tools in the Makita family, which may be a bonus to homeowners who already have some of their products. Air velocity and volume that rivals gas blowers. You don’t have to choke on gas fumes to get the power you need from a handheld leaf blower. The Makita’s combo of 120 mph and 473 cfm is at the top of its class and outshines many gas-powered units. The six settings allow you to dial up the power when needed or tone it down to preserve battery life. Lightweight design. If you have a large yard to clear, you don’t want an overly heavy leaf blower slowing you down. 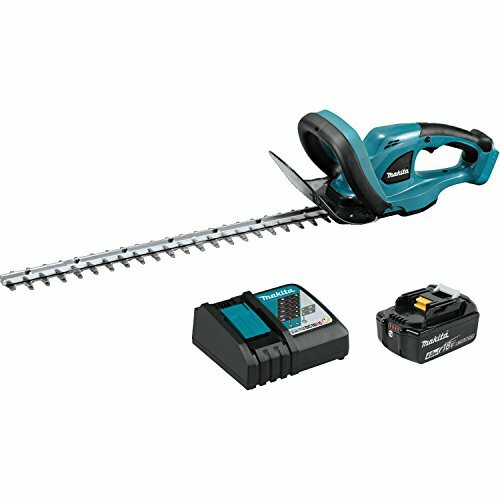 The Makita weighs under 10 pounds with the battery and has an ergonomic design that makes it easy to operate with one hand. Multiple reviewers have commented on how comfortable it is to use the Makita because of the lack of vibrations and easy to hold design. Brushless motor that adjusts to the job. If extending the life of your batteries and leaf blower is important to you, then you’ll appreciate the advantage a brushless motor offers compared to a standard. Brushless motors don’t over exert themselves like standard motors and although more expensive, they will generally last longer and perform better. Batteries not included. 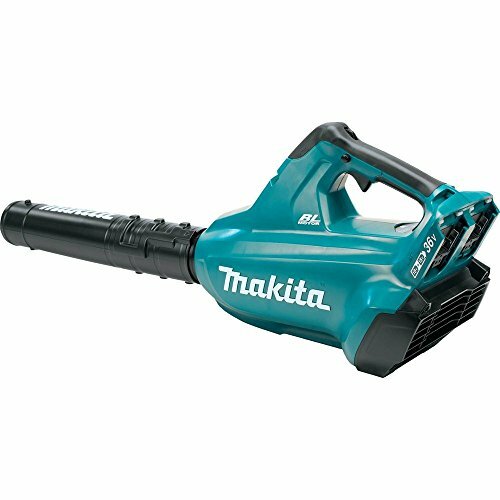 Despite the high price tag of the Makita, you will have to buy the lithium-ion batteries and charger separately. In addition, with an average battery life of about 29-minutes, you may need to invest in another set of batteries if you have a yard that’s over a quarter-acre. According to users, you will not get this full battery time if you are using the leaf blower on full power. It’s going to be loud. Though many users have said that this leaf blower is quieter than many others, the Makita’s 96 decibels cannot be ignored. You will need hearing protection and to be aware of any local ordinances. When you see a leaf blower that offers 110 mph maximum air speed along with 600 cfm, it’s hard to believe that it’s not gas powered. But the WORX Turbine 12 Amp Corded Leaf Blower places itself at the top of the electric leaf blower market with its TURBINE fan technology, high-quality design and hyper-stream air nozzle for extra oomph when you need it. As long as you aren’t clearing acres of land or weaving through a maze of trees and other obstacles, there’s almost no reason that you will need a more expensive or more powerful leaf blower. And at just 82 decibels, it’s much quieter than many other leaf blowers. 600 cfm and 110 mph. This combination of power and clearing capability outperforms most gas models on the market. Many users are blown away by this leaf blower's power. The WORX Turbine comes with a hyper-stream nozzle that is built to efficiently move leaves, twigs and dry or wet grass. 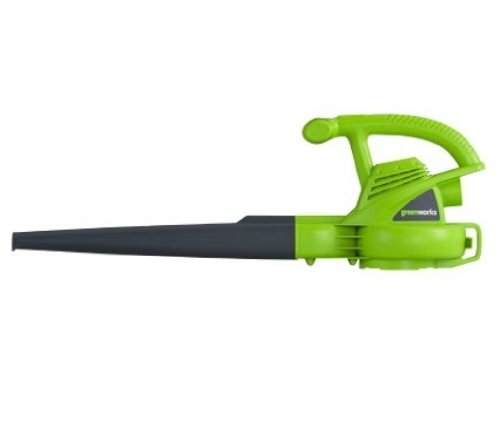 You won’t have to push the blower right up on top of the leaves either; it has enough power to move what you need to move even from a distance. Easy to use. This is essentially a plug and go product. There is very minimal assembly required, it starts with the push of a button, it weighs less than seven pounds and is designed with a grip that makes it easy for anyone to use with one hand, regardless of their strength, size or physical condition. Variable speed control. Even though the WORX Turbine gives you up to 110 mph of power, you don’t always need that much. The variable speed control allows you to dial down the velocity near plants and flower beds or other vulnerable areas, and pump it up when you need to blast wet leaves and/or grass. Highly affordable. When you compare the WORX Turbine to gas and cordless models with similar power, you will see just how affordable it is. At around $50-$60, you will get a powerful yard work tool that will continue to deliver long past its three-year factory warranty. You need an extension cord. 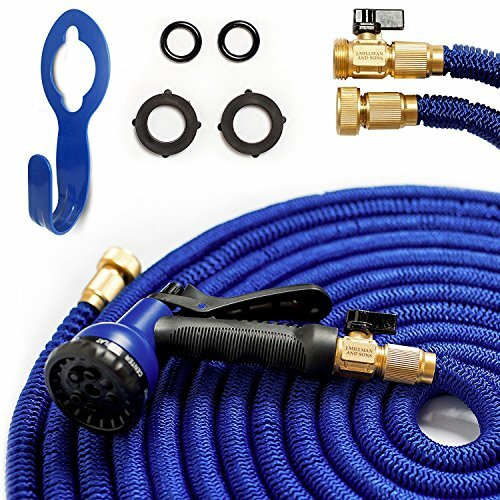 This unit comes equipped with a short connecting cord only, so you will definitely need a long heavy duty extension cord to use this leaf blower. You should also be mindful of where your outlets are located and if using a cord in your yard, patio or driveway is actually viable. Avoid wearing loose shirts: With the air intake unit located on the back of the leaf blower, a loose shirt can easily clog it up and impede the blower’s performance. This was one of the most common complaints from reviewers. The Greenworks 24012 is inexpensive, quiet, easy to use, super lightweight, easy to assemble and ideal for small jobs. For the most part, homeowners in search of a leaf blower don’t need anything fancy and overly powerful. If this sounds familiar, you will be more than happy with its 160 mph air velocity, 4.5 pound weight and industry leading 4-year manufacturer’s warranty. Its zero emissions also makes this an ideal tool to use when cleaning indoor areas, like garages and workshops, a common use for electric leaf blowers. Light and quiet. The Greenworks 24012 weighs less than a bag of sugar and, at around 69 decibels, is about as quiet as a vacuum cleaner. You won’t have to worry about violating any local noise ordinances or tiring yourself out during lengthy jobs because of its lightweight design. Packs power in a small package. Many in the market for a leaf blower may be worried that a leaf blower this small may not have sufficient power. As long as you aren’t clearing a quarter-acre of land or more, this leaf blower will exceed your expectations with its max air speed of 160 mph. Multiple users are surprised how powerful this unit is and even say it outperforms some gas models. As affordable as they come. You will have to look long and hard to find another leaf blower with this type of power for under $50. One of the best features of the Greenworks 24012 is the fact that you won’t have to break the bank to get some light-duty leaf clearing done. The low price was far and away what made users the happiest with this leaf blower. Only one speed. The lack of a lower speed gives this leaf blower all or nothing power. 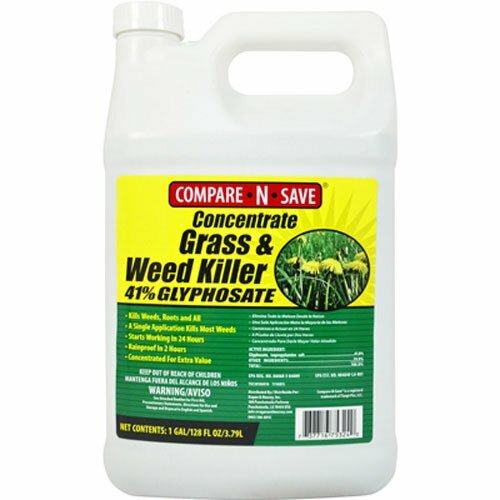 This can be problematic around gardens, flower beds, a neighbor’s yard and other areas where you don’t want to use too much force. No power cord. While most electric leaf blowers require long, heavy duty extension cords, the Greenworks 24012 does not have a power cord at all. You will have to purchase your own power cord to use this product. For some users who didn't want to make an extra purchase, this was a problem. Not great for large volume. You will want to consider looking elsewhere if you have a sizeable yard. Its 150 cfm leaves a little to be desired, and larger jobs could take much longer than you would like. The Black and Decker LB700 offers enough force to get most light leaf clearing jobs finished with relative ease without costing you a fortune to get it done. Because it’s electric, you won’t have to worry about breathing in any toxic fumes or charging any batteries, and its 7-amp motor is powerful and efficient enough for most homeowners’ needs. The LB700’s 180 mph is powerful enough to move small piles of leaves and grass clippings from your yard, patio, driveway, porch or deck. Easy one-handed use. The LB700 weighs a mere 4.4 pounds, making it an easy tool to handle one-handed, no matter how long you have to use it. In addition, its built-in cord retention feature helps prevent annoying interruptions due to the power cord constantly falling out. High air velocity. This is by no means the most powerful leaf blower on the market, but 180 mph is not bad for a leaf blower of this size. If the area you are clearing isn’t overrun with huge piles of heavy, wet leaves, there’s no reason why the LB700’s power won’t be enough to get the job done. One of the most common comments made by reviewers referred to its impressive power for such a small and light blower. Great price. 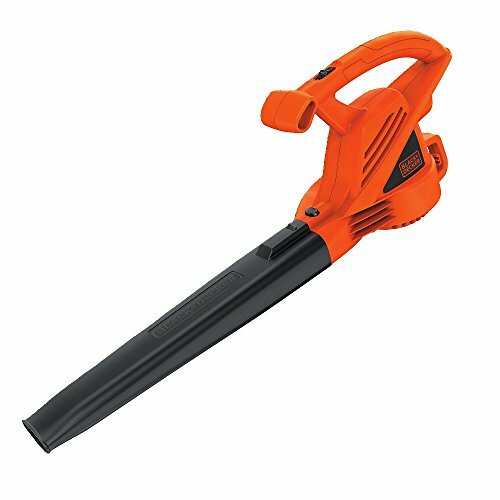 At around $30, you will be hard-pressed to find a more effective leaf blower for small, light duty jobs around your home or business. Not an ideal cfm for big jobs. 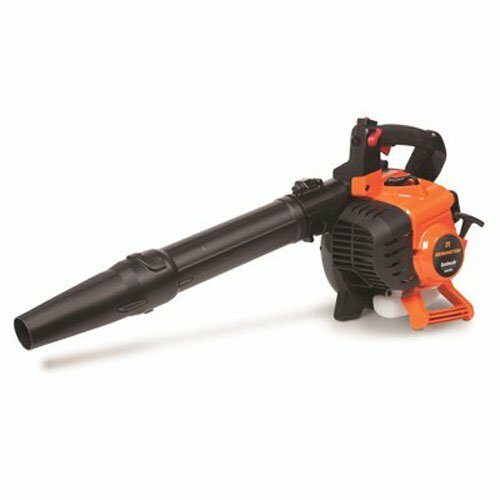 While this leaf blower packs a powerful punch in terms of mph, this is mostly due to its narrow nozzle that concentrates the airflow. This reduces its potential area of effect, so if you have a large yard to clear, you won’t be able to move many leaves quickly. This was one drawback pointed out by some users - it's great for patios and driveways, not for big jobs though. Only one speed setting. It can be advantageous to be able to tone down the power of your leaf blower in certain situations. The LB700 does not offer this option, so it’s always on full blast. You must purchase a power cord separately. This leaf blower does not come ready for immediate use. You must purchase a power cord in order to plug it in, as it does not come with its own. With more range than corded electric leaf blowers, cordless leaf blowers are ideal for larger yards where an extension cord simply will not reach or get around trees and other obstacles. If you’re clearing a lawn that’s close to a quarter acre in size, you’ll want to consider going cordless. Electric cordless leaf blowers run on rechargeable batteries that run for about one hour on average. Is your yard too large for an electric leaf blower or filled with too many trees? No worries. The Earthwise LB20058 Cordless Electric Leaf Blower gives you enough punch and enough range to tackle almost any job a homeowner could face. When you add its 500 cfm with 155 max mph and up to two-hour battery life, you have a leaf clearing tool that is up to nearly any task. Large yard, wet leaves, heavy piles – no problem. It’s also a nice added bonus that the leaf blower comes with a battery and charger included. Battery and charger included. You won’t have to spend extra on a battery and charger, which is a big plus when it comes to cordless leaf blowers. In addition, the 58-volt 2.0Ah lithium-ion battery lasts up to two hours, charges in 75 minutes and can be used interchangeably throughout the Earthwise power tool family. Adjustable tube length. Being able to adjust the leaf blower tube may save your back from some unnecessary aches. If you’re a taller person, simply extend the tube so that you don’t have to bend over to reach the leaves; if you’re shorter, use the smallest length so your tube isn’t dragging on the dirt. Strong power and volume combination. This was among the most lauded features of the leaf blower according to users. At the end of the day, you need a leaf blower that will make clearing leaves easy. The Earthwise offers multiple speed levels, with the turbo charge topping out at 155 mph. The wide nozzle also gives you great volume capability, moving leaves at a rate of 500 cfm. May be limited by battery life if on turbo setting. The manufacturer reported 2-hour maximum battery life is not referring to it being used on the highest power setting. If you have a yard that will require the highest power available, be aware that the battery life will be considerably shorter than two hours. It may be advisable to invest in a second battery so that you never run out of power. The lack of battery life when using the blower on high was a common complaint from reviewers. When you need power, frequent use and/or long lasting use out of your leaf blower, you will need a gasoline-powered cordless unit. These are best for massive yards and large amounts of leaves – think over a quarter-acre. Gasoline-powered cordless leaf blowers are favorites of landscapers, homeowners with large yards and property managers. These cordless units run on gasoline only or a mixture of gasoline and oil, depending on the model. If you’re in the market for a gas-powered leaf blower, you want power, volume and a durable engine. The Remington RM2BL Ambush gives you all of that, with a strong top air velocity that exceeds 200 mph and an air volume of 450 cfm. On top of that, it comes with QuickStart technology, vibration reduction and a cruise control feature that makes using this tool as easy as possible. It also has a translucent fuel tank so you’re not stuck guessing at when it’s time for a refill. Extremely powerful engine. You won’t be disappointed with the force this leaf blower brings to jobs. Whether you are a professional landscaper or just have a large yard that requires the efficiency and long-lasting ability of a gas blower, Remington’s combination of 205 mph top speed and 450 cfm will leave little to be desired. Relatively quiet. You will still require hearing protection to use this leaf blower, but its 74 decibels is even lower than many electric models. If you have noise ordinances in your neighborhood, this feature can be a big plus. Convenient features that make it easier to use. The Remington Ambush comes with quick start technology so you aren’t stuck yanking on the start cord forever, which was something that reviewers repeatedly praised about the leaf blower. It also comes with an extended output nozzle that reaches the ground and saves you from bending over too often and compromising your back. Its cruise control function and vibration reduction also improves ease of use. Need a mixture of gas and oil. Two-cycle engines run on a mixture gas and oil, which you will either need to mix manually or purchase pre-mixed. This will add more work for you and increase your overall cost of ownership. Regular maintenance required. Unlike electric and battery-powered leaf blowers, two-cycle gas engines require regular maintenance, including flushing old gas and oil from the machine, cleaning the air filter, clearing air flow and changing the spark plug as needed. One of the most powerful types of leaf blowers, backpack gas leaf blowers are used for clearing an acre or more of land. These are heavier and louder models that pack a lot of power. If you’re clearing a large commercial or residential property, a backpack gas leaf blower will help you complete the job as quickly as possible. When you need to clear a massive yard, a park or any multiple acre plot of land, the Echo PB-580T Backpack Blower is unmatched in its combination of power (215 mph) and volume (510 cfm). But its padded back rest makes it comfortable to wear, and the vented back plate keeps the user cool while clearing leaves. It carries a 58.2 cubic centimeter engine, large enough to last through nearly any size job without multiple refills, and is quieter than most handheld gas models. Padded back rest with vented back plate. With a somewhat heavy backpack, it helps that Echo added pads and vents to make things easier on the user while moving leaves. The machine also comes with vibration reduction. Several reviewers commented about how comfortable it was to wear. High power and volume. All you have to do is look at the numbers to see the power you are working with: 215 mph and 510 cfm. Not only will you be able to blast all types of leaves and debris from the ground, but you will also be able to cover a large area quickly. Very few reviewers were disappointed with this leaf blower's clearing power. Leaf guard along side of engine. Leaves getting caught in the intake will impede the blower’s performance. This is why the leaf guard is a very important feature on this leaf blower, as you will likely be using it to clear large swaths of wet, dry, large and small leaves. Relatively low decibel level. The Echo emits a comparatively low 70 decibel noise rating, which is quieter than many gas-powered and even electric leaf blowers. Heavyweight leaf blower. At over 22 pounds without any fuel, you need to consider your ability to carry and operate this machine. If you have back problems or a lack of upper body strength, you might want to look elsewhere. High cost of ownership. As with all 2-cycle gas-powered leaf blowers, you will have to continually purchase a fuel and oil mixture or make the mixture yourself. In addition, it will require regular maintenance. Storage may be a problem. Before you purchase a backpack leaf blower, you need to be sure that you have sufficient indoor space to store it, which will be more difficult than with a standard handheld unit. Sometimes clearing an area with a leaf blower’s air sweeping function is not enough. You may need to vacuum the leaves or turn them into mulch to use as nutrients in your yard and garden. Rather than using two separate tools, you may want to consider the benefits of an all-in-one leaf blower and vacuum. The right leaf blower will not only help you avoid raking, but also bagging. The Black and Decker BV5600 High Performance Blower moves leaves with tremendous force, vacuums them and turns them to mulch. It also comes with an attachable bag to make the job even easier. It offers two speed settings, low noise rating and a metal fan that grinds 16 bags of leaves down to just one bag of mulch. Variable speeds. The BV5600 tops out at 250 mph and has a maximum air volume of 400 cfm for the biggest and toughest jobs. But around flower beds, gardens and other areas that require a lighter touch, it features a lower level so you can match the power to job. Use fewer bags. If you’ve gone through all of this trouble to avoid raking, you will be happy that this leaf blower will also reduce the amount of bagging. Its blade chops 16 bags of dry leaves into one bag of mulch. There was a near consensus appreciation of this feature among reviewers of the product. Comparatively quiet. At under 70 decibels, this is one of the quietest leaf blowers available, considering its power. Several reviewers commented on how much quieter this leaf blower was compared to others they had used in the past. Considerable power. The BV5600 not only chomps up leaves of all sizes, but it also mulches twigs and other debris in your yard, making for fewer clogs and a smoother job. Extension cord required. This leaf blower comes with an extremely short power cord, so you will absolutely need a long extension cord to maximize reach and power. Machine needs cleaning. If you opt to use the vacuum and mulching functions, you will need to clean out the mulching blade after each use.